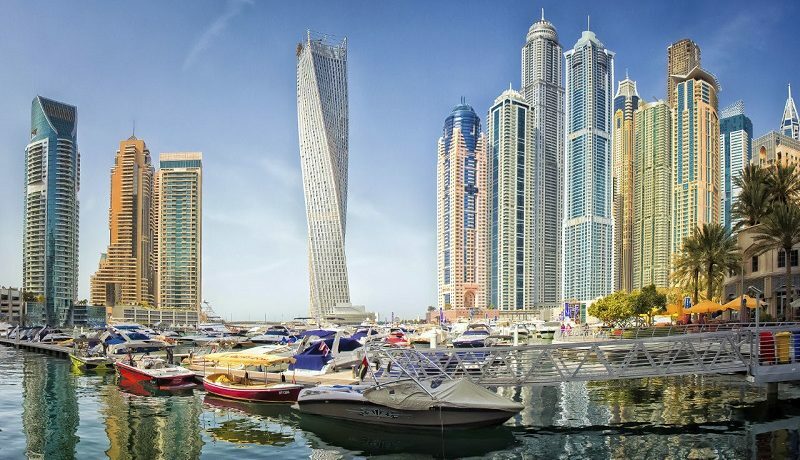 “Although there are some signs of stability within specific sub-markets, we can still expect to see further declines within Dubai’s residential market, with deflationary pressures to be felt across both sales and rentals,” the global real estate consultancy said in its new report. 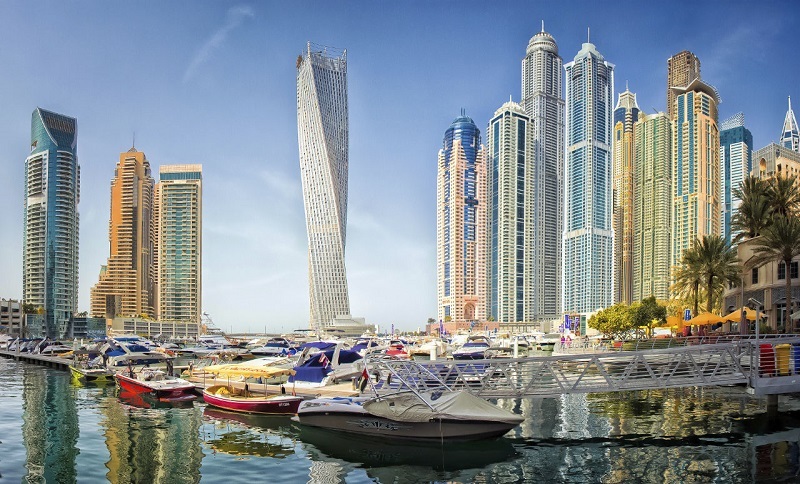 Prime residential locations such as Downtown Dubai and Dubai Marina, and secondary locations such as International City, International Media Production Zone and Dubai Sports City saw average rentals fall in the second quarter. The report said 48,000 new units were expected to enter the market between 2016 and 2018, provided construction delays were minimum – the numbers comparable to the five years average supply. Majority of the upcoming supply was expected in secondary and tertiary locations such as Dubailand, Jumeirah Village, Business Bay and Dubai Silicon Oasis. CBRE said residential prices fell for the sixth consecutive quarter during the quarter, with average sales rates falling by two per cent quarter-on-quarter, registering a 12 per cent annual decline. The most significant declines were seen in the higher-end and luxury residences. Prices within the mid-market segment were more resilient to the downward rate trend, reflecting the current demand for affordable accommodation in freehold communities. 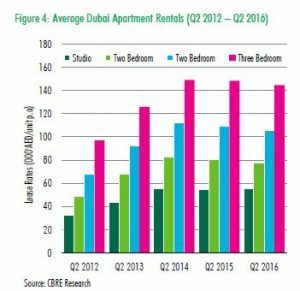 However, downward rental pressures were seen in affordable leasehold locations such as Al Barsha, Oud Metha and Bur Dubai with freehold sub-markets such as International City also suffering more marked downturns in performance. “Sales rates have been predicted to drop further by an additional three to five per cent in the coming quarters although some locations may vary,” the consultancy said.